Feed costs have historically been the single largest cost of pork production. For the past six years, feed costs have continually increased, which has driven all facets of animal agriculture in the United States to attempt to reduce feed costs. Florida has greater feed costs than the rest of the country because grain must be shipped here from where it was produced. Taking into account transportation costs, corn in Florida is approximately $1.25 per bushel more expensive on average than in the Midwest. A pig consumes approximately 650 lbs. of complete feed from birth until slaughter, and approximately 70% of the diet is corn. This means it costs over $10 more to raise a pig in Florida than the Midwest because of the cost of corn alone. Increased feed costs combined with decreased slaughter capacity have dramatically decreased pork production throughout the southeastern U.S., except for North Carolina. Florida currently ranks 36th nationally for pork production (NPB 2012). The state’s swine inventory was reduced by half from 2001 to 2005, but since then has been consistently estimated at 20,000 animals (FDACS 2011). The few Florida pork producers active today generally obtain prices above market value for their pigs because of the strong demand for locally-raised foods or by selling pigs to youth for exhibition (Carr, Eubanks, and Dijkhuis 2008a). The number of small USDA-inspected pork processors in Florida has increased over the past five years (Carr, Eubanks, and Dijkhuis 2008b). These Florida pork producers could become more profitable if they could significantly decrease their production costs. Florida produced approximately three million tons of citrus pulp in 2011, which was primarily used as a byproduct feedstuff in ruminant diets (FDACS 2011). 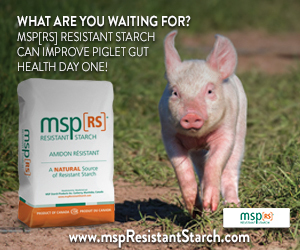 Raising monogastric animals (such as pigs) for food production is often criticized because these animals consume feedstuffs that could be used for human consumption. However, citrus pulp is a byproduct of the citrus juicing industry, and humans do not generally consume it. In Florida, pork producers have an opportunity to use citrus byproducts as a feedstuff to substantially and sustainably decrease their feed costs. Three primary types of citrus pulp are used as a byproduct feedstuff in livestock diets—whole citrus pulp, pressed pulp, and dried pulp. Whole citrus pulp (pulp residue, rind, and seed) contains approximately 10% dry matter (DM), immediately after the juice is removed. Whole citrus pulp (WP) is then pressed to extract citrus liquor, and 0.05% calcium carbonate is added during grinding to make pressed pulp, which contains approximately 20% DM. Pressed pulp (PP) is heated to make dried pulp (DP), which contains approximately 90% DM. DP is sold as a commodity feedstuff, but WP and PP are available at little to no cost because citrus processors want to avoid further processing costs for those products. However, animal producers must pay the transportation cost for WP or PP products. Depending on the length of transportation, these costs can become cost prohibitive, especially since over 80% of the load is water. Because these products are high in fructose and over 80% water, WP and PP products should either be fed within three days of production or preserved by ensiling to extend their storage life. In a recent University of Florida trial, 30 finishing pigs were fed either a control diet of corn-soybean meal or the same diet, with 15% replaced by either anaerobically ensiled WP or PP on a DM basis (Table 1). Compared to the control diet, diets containing ensiled citrus pulp had additional soybean meal, monocalcium phosphate, and less limestone, which allowed all diets to contain 0.78% lysine and the same calcium/phosphorus ratio. Metabolizable energy values were similar for the diets at 1,660 Kcal/lb (control diet), 1,604 Kcal/lb (WP diet), and 1,590 Kcal/lb (PP diet) (Table 1). Compared to pigs fed the control diet across the feeding period, pigs fed the PP diet displayed a 20% improvement in feed efficiency (Gain:Feed), while those fed the WP diet had a 13.3% improvement (Table 2). These differences in efficiency primarily occurred during the first two weeks of feeding (Table 2). Although the data are not shown in this report, replacing 15% of the diet DM with ensiled citrus pulp had marginal effect on carcass traits, pork shelf life, and pork sensory characteristics. ((300 miles roundtrip ÷ 10 miles/gal) × $3.50/gal) ÷ 20,000 lbs. of high-moisture citrus byproduct or 10,000 lbs. of both WP and PP. ((((total DM intake/pen × diet $/lb DM) + labor $/per pen) ÷ live wt. gain/pen) ÷ # of pigs/pen). Management is important when feeding an ensiled high moisture feedstuff to pigs. These feedstuffs should be used within 2–3 days after removing from the ensilement container to prevent spoilage and mycotoxin development from mold. Additionally, these diets require additional labor as described earlier to ensile the high moisture pulp, to mix and blend feed more frequently to maintain feed quality and palatability, and to prevent feed bridging, clumping, and waste within the feeders. Feeding ensiled citrus pulp probably has even better application for gestating sows because feed is generally offered once daily on the floor, minimizing problems with feeders. Also, sows have improved hindgut fermentation compared to finishing pigs, suggesting that ensiled citrus pulp could be fed at an increased rate (Sotto et al. 2009). Carr, C. C., L. E. Eubanks, and R. D. Dijkhuis. 2008a. Adding Value to Livestock with Niche Meat Marketing Programs. AN197. Gainesville, FL: University of Florida Institute of Food and Agricultural Sciences. http://edis.ifas.ufl.edu/an197. Carr, C. C., L. E. Eubanks, and R. D. Dijkhuis. 2008b. USDA-Inspected Livestock Slaughter Facilities in Florida. Gainesville, FL: University of Florida Institute of Food and Agricultural Sciences. http://edis.ifas.ufl.edu/an203. FDACS (Florida Department of Agriculture and Consumer Services). 2011. 2011 Florida Agriculture by the Numbers. Tallahassee, FL: FDACS. http://www.florida-agriculture.com/brochures/P-01304.pdf. NPB (National Pork Board). 2012. Quick Facts: The Pork Industry at a Glance. Des Moines, IA: National Pork Board. http://viewer.zmags.com/publication/5bb6aa6d#/5bb6aa6d/1. Sotto, V. R., M. Brito, B. Lopez, E. Perez, and F. Velazquez. 2009. “Use of Citrus Meal for Feeding Sows during the Gestation and Lactation Stage.” Revista Computadorizada de Produccion Porcina 16(1): 45-49. Table 1.Ingredients and chemical composition of the experimental diets on a dry matter basis. 1CON = corn-soybean meal control diet; WP = diet containing 15% ensiled, whole citrus pulp; PP = diet containing 15% ensiled, pressed citrus pulp, on a DM basis. 2Supplied per lb: 2,497 IU vitamin A; 309 IU vitamin D3; 2.5 mg vitamin K activity; 3.2 mg riboflavin; 10.4 mg d-pantothenic acid; 15.4 mg niacin; 63.6 mg choline chloride; 12.3 mg vitamin B12; 45.4 mg zinc (ZnO); 22.7 mg iron (FeSO4); 12.3 mg manganese (MnO); 2.3 mg copper (CuSo4); 0.4 mg iodine (CaI2) and 0.1 mg selenium (NaSeO3). Table 2.Effect of dietary citrus pulp inclusion on growth and feed efficiency of pigs. Table 3.Effect of dietary citrus pulp inclusion on cost of gain per pig ($/lb gained). 2Labor calculated using 1 hour per day × minimum wage for both WP and PP treatments. This document is AN282, one of a series of the Animal Sciences Department, UF/IFAS Extension. Original publication date August 2012. Reviewed December 2018. Visit the EDIS website at https://edis.ifas.ufl.edu for the currently supported version of this publication. J. D. Crosswhite, research assistant; N. B. Myers, research assistant; A. T. Adesogan, professor; J. H. Brendemuhl, professor; D. D. Johnson, professor; and C. C. Carr, assistant professor, Department of Animal Sciences; UF/IFAS Extension, Gainesville, FL 32611. 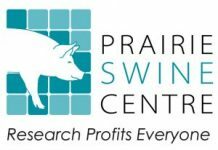 Previous articleLow sow mortality: What’s the secret?